​Increasing women's leadership capacity by offering training and development programs uniquely designed to address issues that women face in leading organizations. The Center for Women's Leadership (CWL) helps people and organizations better understand the issue of gender dynamics. Through scholarship, applied research and experiential learning we promote understanding and capacity to overcome the barriers women often face when exercising leadership. The CWL increases women's leadership capacity by offering training and development programs and examining the complex social forces most relevant to women and leadership. The study of women and leadership is at a tipping point. We are in need of new conversations around gender and leadership, and we need to explore the 21st Century challenges that women are facing in their roles as leaders. The future is changing and our approach to preparing men and women for leadership roles must change as well. The CWL aims to to reexamine existing perspectives on gender dynamics and leadership and create new ways of understanding, knowing and practicing leadership. 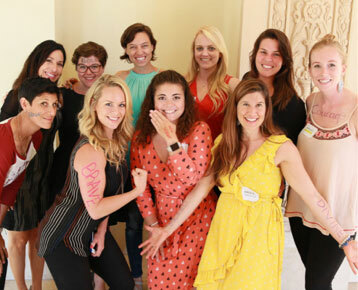 How does the Center for Women's Leadership prepare women for leadership?